This seat pack with its convenient adapter system offers you an elegant means of stowing an additional amount of critical gear. 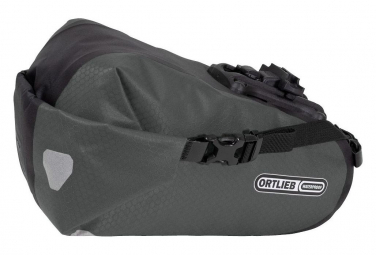 The Saddle-Bag Two is a redesigned ORTLIEB classic, a seat pack that is so practical that it belongs on every bike tour! The 4.1-liter version offers almost as much stowage space as a small backpack, making it an ideal supplementary pack when you have a lot to carry. Thanks to the pack’s roll closure and side buckles, everything you stow remains snugly packed and easy to access. 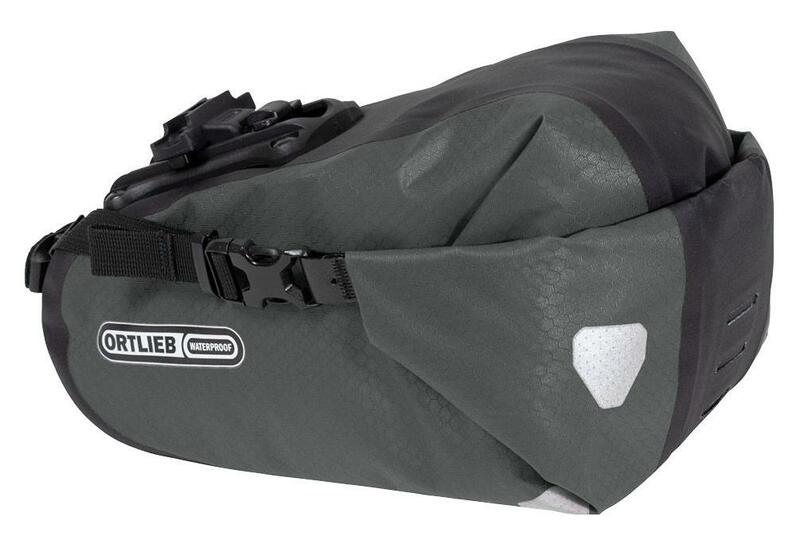 The Saddle-Bag Two attaches directly to your bike seat with an adjustable snap buckle. The intuitive adapter allows you to quickly attach the pack to or detach it from your bike. Moreover, the snap buckle is compatible with all previous Saddle-Bag Two models so that you could use it on different bikes. A Velcro strap that attaches to your seat stem provides additional stability, effectively preventing any unwanted shifting. Another advantage in the case of the large pack is that it doubles as a rear fender, keeping spray water off your back. 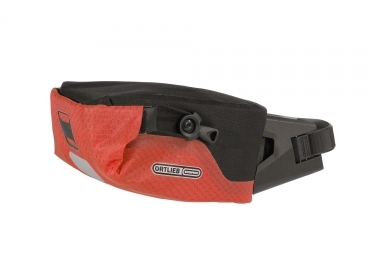 Ideal for use with mountain bikes, road bikes and touring bikes. No protruding plastic parts on the inside. Adjustable attachment below your bike seat. Velcro strap compatible with seat-stem diameters of up to 34.9 mm. Scotchlite 3M reflector for added protection at night. Daisy chain for the optional attachment of a rear light. Dimensions: 14 x 21 x 28 cm.